Whether you’re concerned about cybersecurity or if you’re trying to prevent theft or robberies, here’s a collection of security tips that are essential to the small business owner. Running a small business is a tough gig, so the last thing you need is to be the victim of a crime. Small businesses are a popular target for crime, with over 61% of cyber attacks targeting small businesses. Small businesses are often underequipped to deal with security threats, which means they’re worse both at protecting themselves and catching criminals. You can’t eliminate security risks, but you can pre-empt them. Below, we’re looking at 10 security tips that a new small business owner should know. Small Business Owner or Victim? The biggest asset criminals have on their side is that most people don’t think the way they do. That means the regular person or business is complacent about their security. That makes them a perfect target. You need to put yourself in a defensive mindset. Think as though you’re certain a break-in or cyber-attack is coming and defend yourself. It may sound paranoid, but it will ensure you’re thinking about the best ways to protect your business. Look at your business premises and your software with a critical eye. If you were a criminal, where would you attack? Criminals see an unsecured building as their own private version of a pinata. Alarms, heavy doors, and good security policies might not prevent theft, but they will ensure that a criminal thinks twice about targeting you over a less secure neighbor. Reinforced glass, rolling garage doors, and business safes can all protect your business. You can read more here about securing your premises. Criminals don’t think the same way we do. To them, lax security is a personal invitation. As a small business owner, you might not have much experience managing employees. If there’s one key thing a business owner should know about employees, it’s this: don’t trust to common sense. It isn’t that common. Employee training is the only way to ensure that your staff knows how to prevent and deal with security issues. This goes for both online and offline crime. We’re not saying you have to run a police state, but like many crimes, businesses often end up the victims of people they know. Control access to vulnerable parts of your business, limiting it to those who need access to do their jobs. Pay close attention to cash reconciliation and ensure there’s a signed paper trail. Simple mistakes can lead to problems, too. For instance, file transfers can leave a software system vulnerable, and simple forgetfulness can leave your premises open overnight. Think about common security problems and create workarounds. Of course, training your staff can only work if you have something to train them on. Robust policies give your staff the tools they need to respond to incidents. They should include what to do if they suspect a colleague is breaking the law and what to do if they notice a vulnerability, among other things. Security policies encourage your employees to speak up if they see something, which could prevent an incident before it develops. It’s a sad fact that your retail theft prevention and cybersecurity initiatives might not pay off. If you do end up a victim of a crime, you need a way to recover. Don’t neglect to insure your business against robberies, thefts, and cyber-attacks. Insurance could be the only thing standing between recovering from your incident and shutting the doors of your business for good. Getting the right insurance isn’t always easy, so read the fine print. Insurance should bring you peace of mind – it shouldn’t give you a shock when you learn it doesn’t cover cyber-attacks. Despite our fast-paced, anonymized lives, there’s still value in a community. A sense of community can exist in both the online and offline spaces. Connecting with your community can turn your customers and peers into your own small army of people happy to watch your back. Being active in the community can keep you on top of the news in your niche, and it can also help you recover if you suffer a blow. Many hackers don’t really need to deploy any complicated code. In 2017, the password 123456 still topped the list of most popular passwords. That goes to show that most people still haven’t absorbed how important it is to use strong passwords and protect them. Make sure your business doesn’t make the same mistake. The use of strong passwords should form part of your staff training. It’s also important you emphasize the need to keep those passwords secure – it doesn’t matter how strong a password is if it’s available for everyone to see. One key aspect of cyber security for small businesses is exactly the same as for the larger ones: keeping your systems up to date. Outdated systems are behind many prominent cyber-attacks. Software patches address vulnerabilities as they’re discovered, and update a system to meet modern security standards. Failing to update your software is the cybersecurity version of an unsecured building. Keep your software up to date, and criminals will go after a softer target. A huge percentage of businesses now have some sort of digital component. If that includes you, then it’s time to think about your backups. Like insurance, having backups could be the deciding factor in whether your business ever recovers from a security breach. Thanks to the cloud, it’s easier than ever for a business to keep rolling backups. The days of backups that force you to take time out of your day are gone, so there’s no excuse for falling behind. 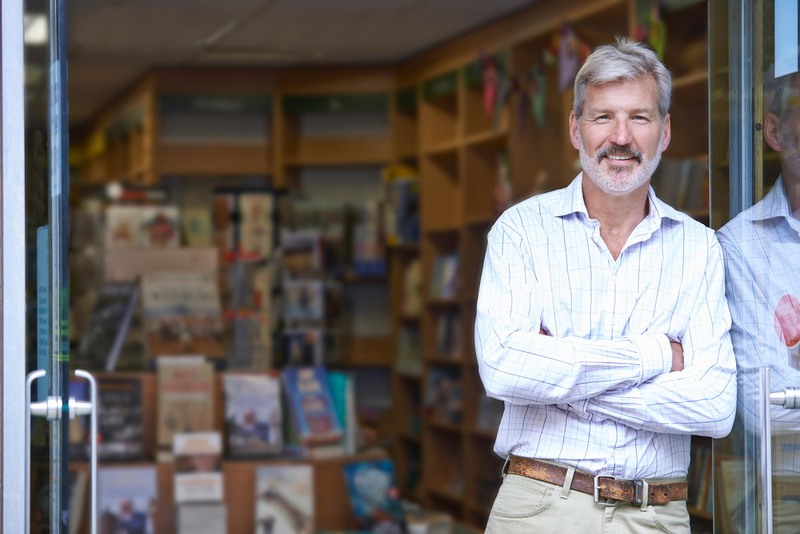 As a small business owner, you need to take responsibility for many aspects of your business, and that includes your security. By taking a few pre-emptive steps, you can protect the future of your business. Want to know more about running a small business? Be sure to follow our blog. Transfer Data With EaseUS Todo PCTrans! Extraordinary Indoor Water Parks to Blow Your Mind!